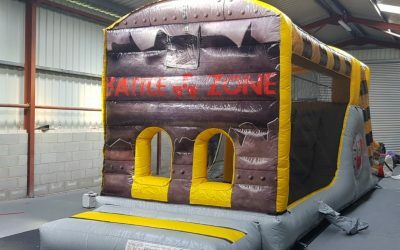 Battle Zone Assault Course. 29ft x 10ft. £100.00 Per Day. Great Fun for every child! Endless Fun! 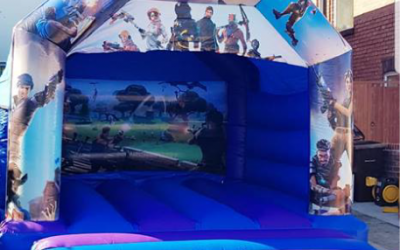 Our Latest Bouncy Castle at Southport Bouncy Castles is: Fortnite Bouncy Castle Just £60 for the day! Want to be the next Gladiator? 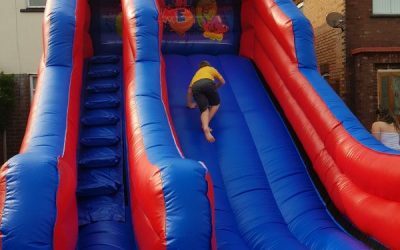 Gladiator Dual 20x16ft Bouncy Castles is the castle for a day of fun and laughter. 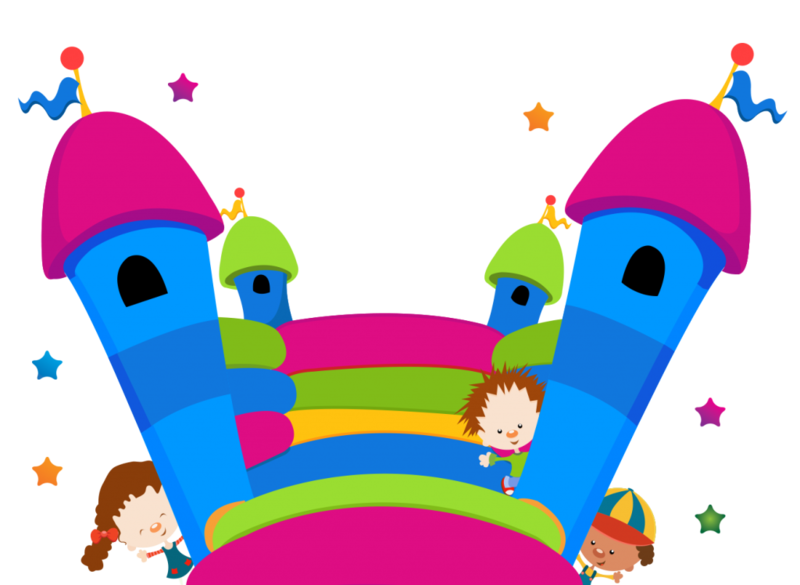 Bouncy Mega Slide. £80.00 Per Day. 18x15ft. 8ft Platform. Very Popular with all ages! Micky Mouse Bouncy Castle with Slide. 20ft x 16ft. 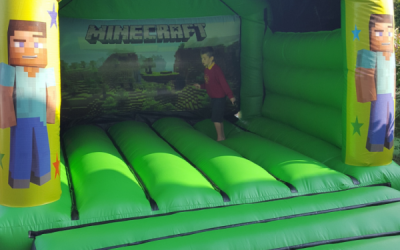 Minecraft Bouncy Castle Just £55 for the day! Great for all the Minecraft Fans! 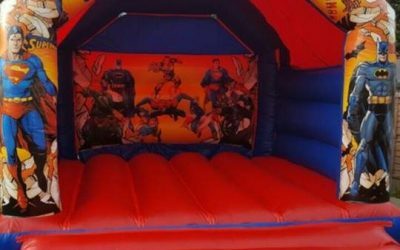 Superheroes Bouncy Castle Just £55 per day! 15ft x 12ft. For all the Super Hero Fans! 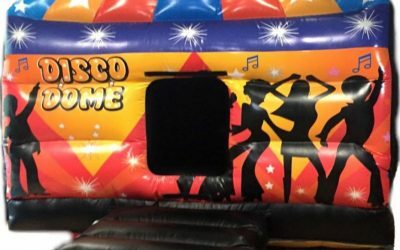 Disco Dome Bouncy Castle £90 for the day! 15ft x 12ft. Music sent via Bluetooth. 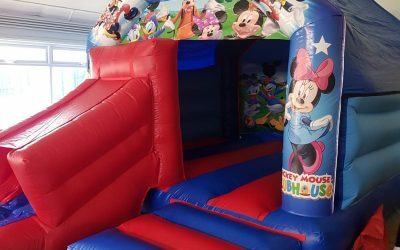 Party Time Bouncy Castle Just £50 for the day! 12ft x 12ft. 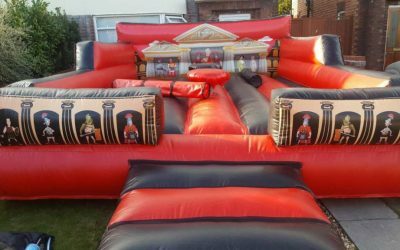 Disco Bouncy Castle Just £75 for the day! 15ft x 12ft. Music sent via Bluetooth. 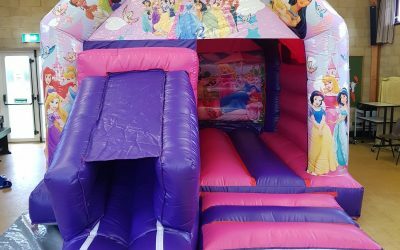 Frozen Bouncy Castle Just £55 for the day! – 15ft x 12ft. No room for a castle? Why not try our Sumo Suits?